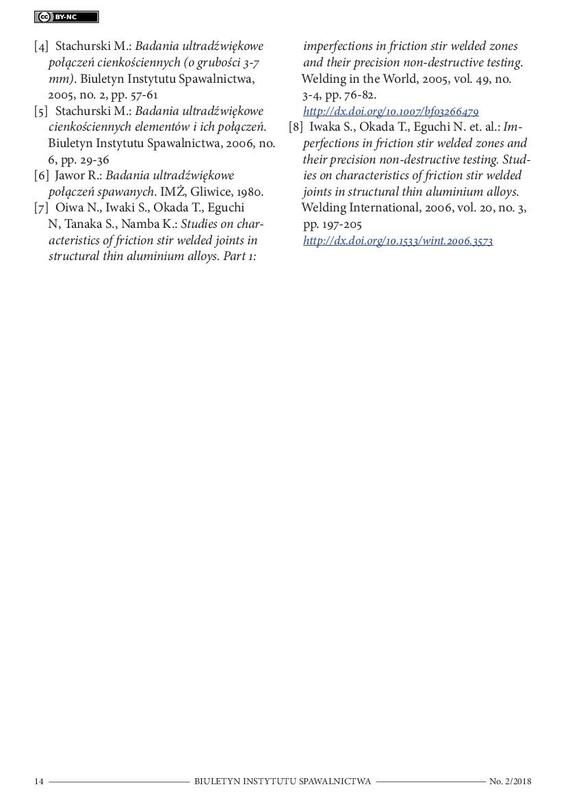 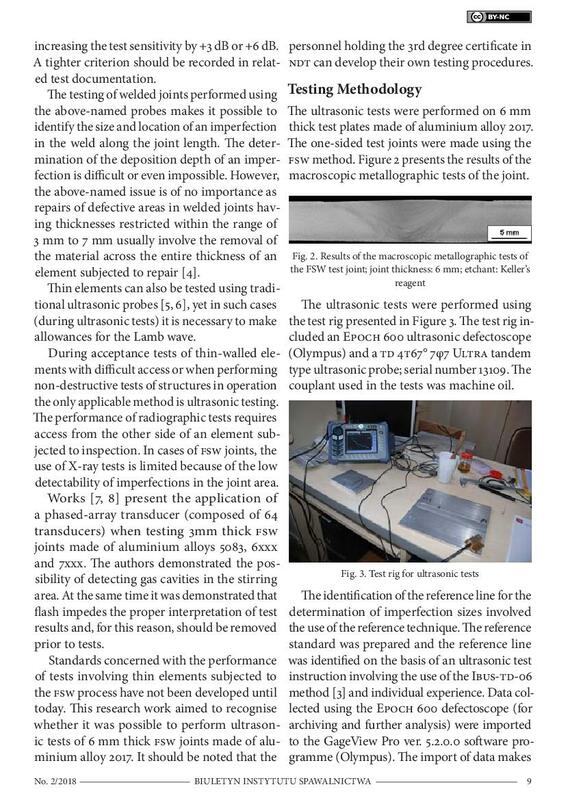 The article presents results of ultrasonic tests concerning 6 mm thick FSW joints made of aluminium grade 2017. 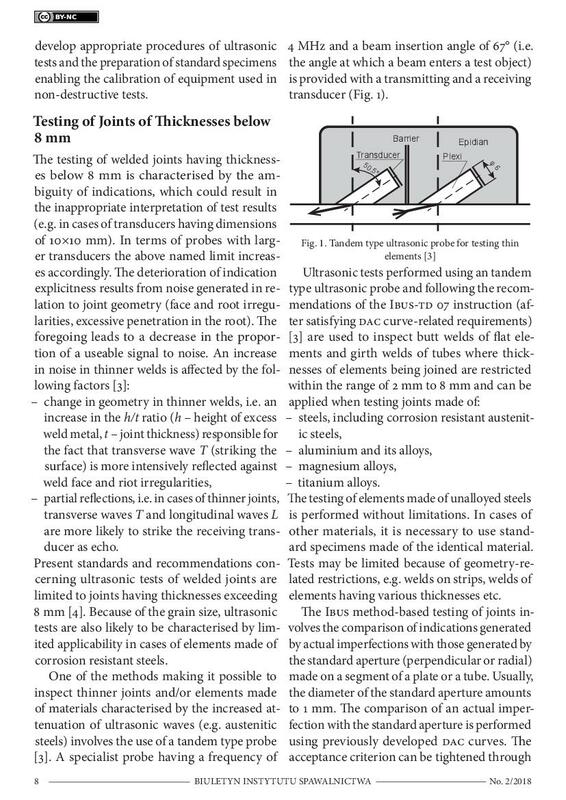 The tests were performed using joints with artificial post-weld welding imperfections and joints characterised by internal imperfections. 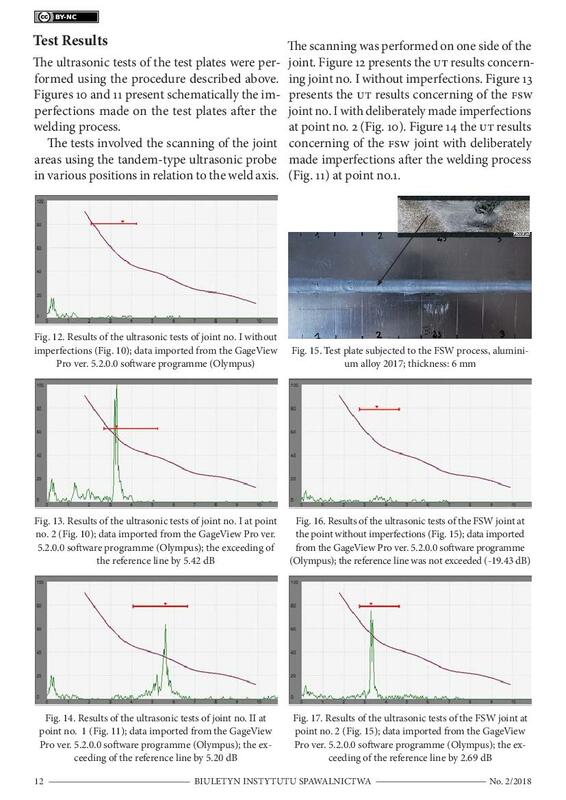 The test results revealed that the use of the ultrasonic technique enabled assessments of the quality of 6 mm FSW joints. 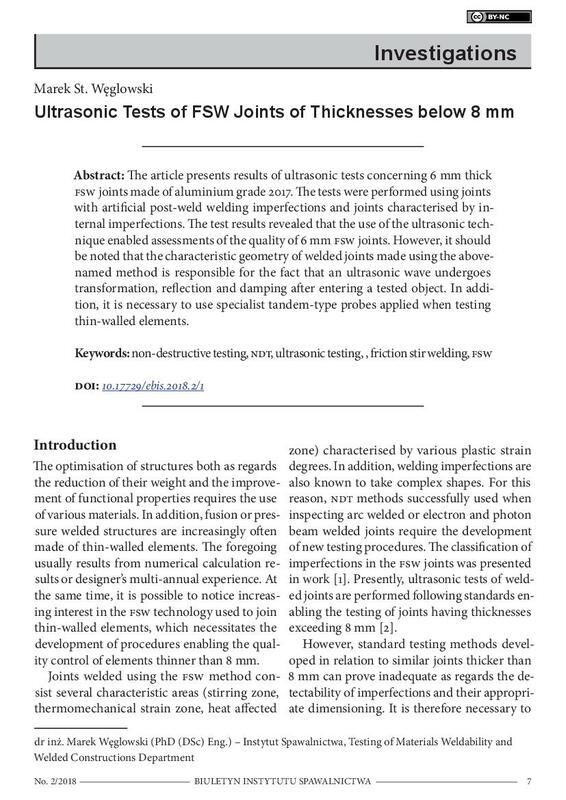 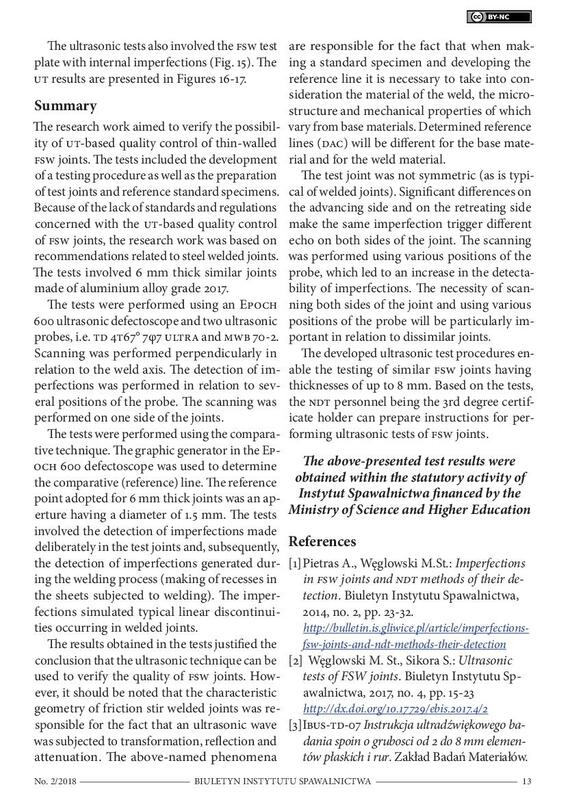 However, it should be noted that the characteristic geometry of welded joints made using the above-named method is responsible for the fact that an ultrasonic wave undergoes transformation, reflection and damping after entering a tested object. 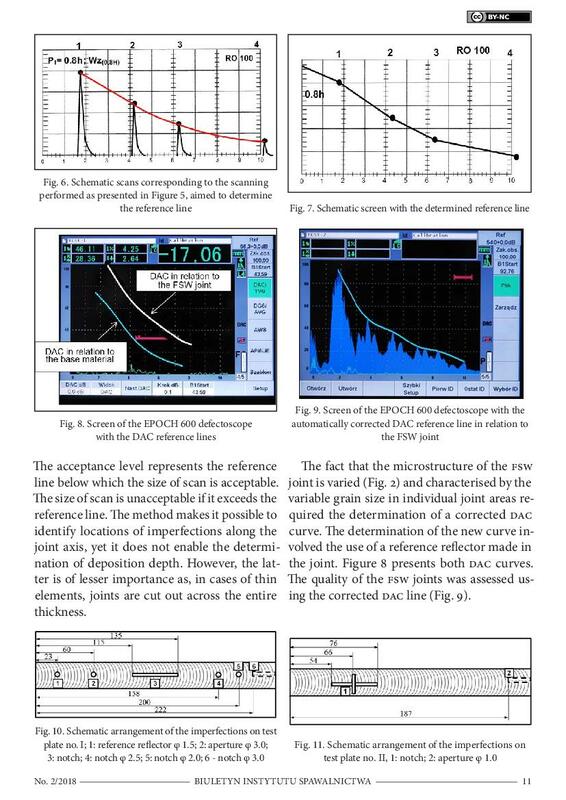 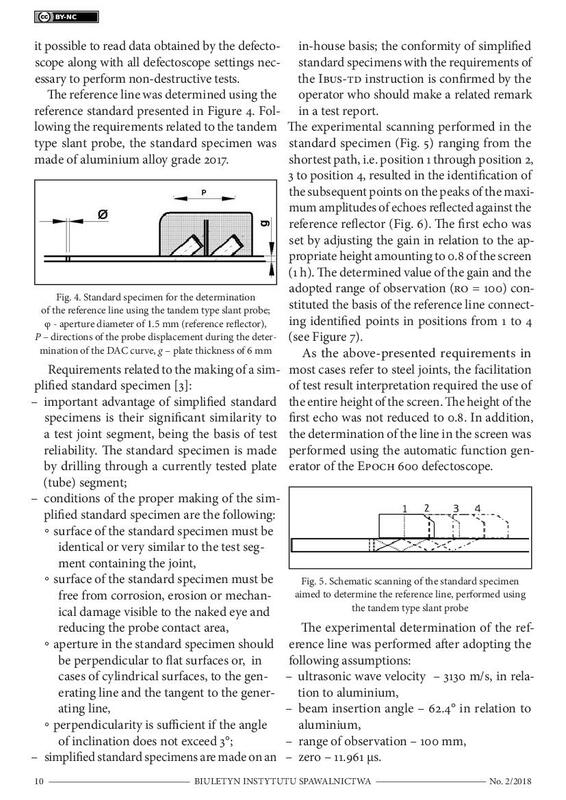 In addition, it is necessary to use specialist tandem-type probes applied when testing thin-walled elements.